Home > Entertainment > Kayne West: Crazy or Genius? 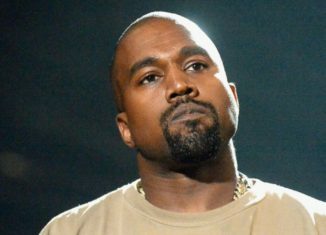 We all know and love Kanye West for his rap music, his high profile marriage to Kim Kardashian, and infamous questionable rants. Sadly, it seems that this fame has been too much for him and has caused him to encounter some sort of psychotic break. This nervous breakdown was also triggered by the anniversary of his mother’s funeral. On Monday, November 21, 2016, West was hospitalized for psychiatric evaluation after “acting erratically” with his home trainer. He was taken to UCLA Medical Center to be treated for exhaustion and depression. TMZ reporters stated that West was put in handcuffs and strapped to a gurney during his transportation to the hospital. West resisted to go to the hospital at first, but was soon convinced by his management and law enforcement to get help. His hospitalization occurred just a couple days after he verbally attacked rapper Jay-Z and singer Beyonce while on-stage and abruptly cut his concert short. Following the news of West’s psychotic episode, his wife Kim Kardashian rushed to be by his side. Unfortunately, this news interrupted Kim on her way to the Angel Ball where she would make her first public appearance since she was robbed at gunpoint in her Paris hotel. Although she was unable to make her public appearance at that time, she regained her spotlight at her mom’s Christmas Eve bash in late December. West was released from the hospital on November 30, 2016 after more than a week of treatment for his mental breakdown. Just days after he returned to the public eye, Kanye met with President elect Donald Trump at Trump Towers in New York City. Although he refused to speak to the press about his motives, he later released a series of tweets that revealed the reason behind this meet-up. West tweeted, “I wanted to meet with Trump today to discuss multicultural issues.” He then elaborated by saying, “These issues included bullying, supporting teachers, modernizing curriculums, and violence in Chicago.” Trump and West have an unexpected friendship that makes me wonder… will Kanye West help Donald Trump make America great again?